Approved by Cinderella. 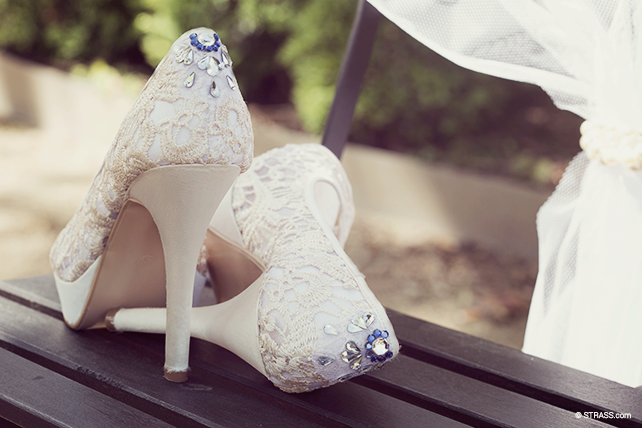 The thing about the right shoes, the ones that change your whole life. This is definitely one of these. And the one man that changes your whole life, he will get your shoe back, when by tradition they are auctioned off on the wedding day.And because we’re girls, we love shoes. 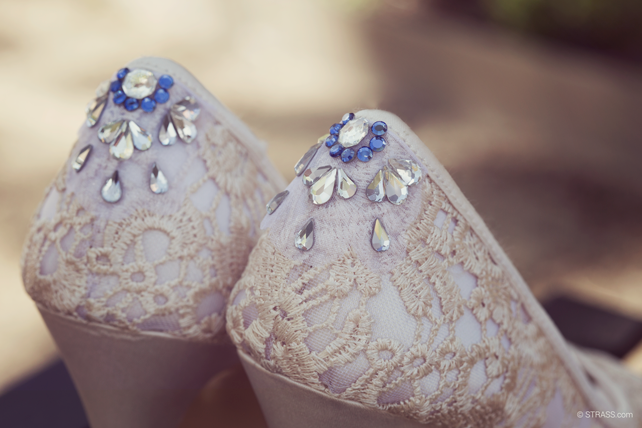 Because of that and because we also love to have a lot of luck, we decorated this pair of bride’s shoes with something blue.Go ahead dear shoes, change our lives. P.S. : Wedding rituals? We have them all. On our Facebook page. Cinderella-proofed. Die Sache mit dem richtigen Schuh, der dein Leben verändert. Das hier ist definitiv so einer. Und der Mann, der dein Leben verändert, der holt dir diesen Schuh zurück – wenn er traditionell am Abend versteigert wird.Und weil wir Mädchen sind, lieben wir Schuhe. Deswegen und, weil wir ganz viel Glück wollen, haben wir dieses Paar Brautschuhe mit noch etwas Blauem gestylt.Dann verändert mal unser Leben, ihr lieben Schuhe. P.S. Hochzeitsbräuche? Haben wir alle. Auf unserer Facebookseite.